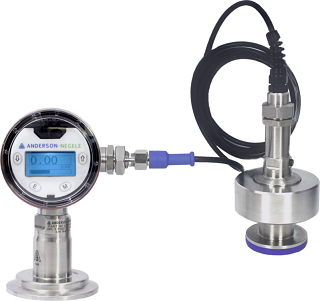 Anderson-Negele Pressure Sensors and Gauges are optimized for the high requirements and standards of the Food & Beverage industry as well as for the Pharmaceutical industry. 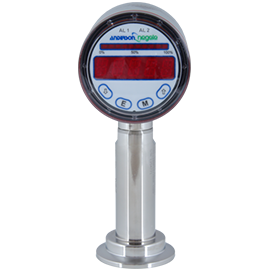 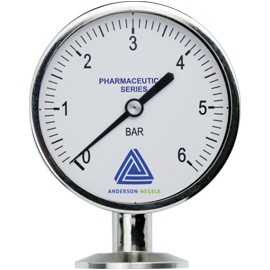 Besides our philosophy “HYGIENIC BY DESIGN” both the Mechanical Pressure Gauges as well as the Electrical Pressure Transducers accord to expectations of our customers concerning accuracy, life span, calibration and cleaning. 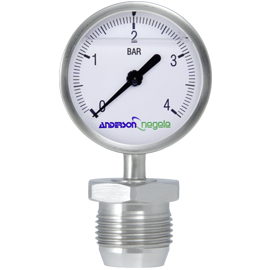 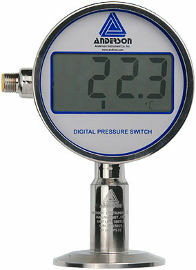 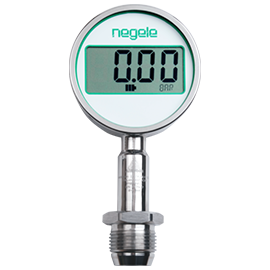 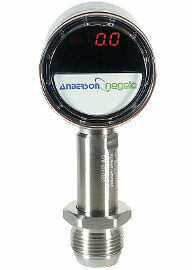 Anderson-Negele pressure gauges can be adapted to all standard process connections without additional diaphragm seals, either directly or using the CLEAN adapt system. 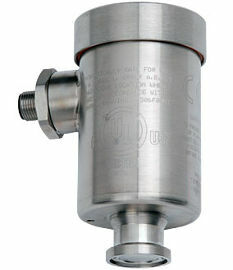 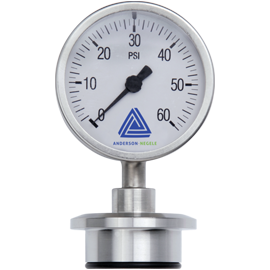 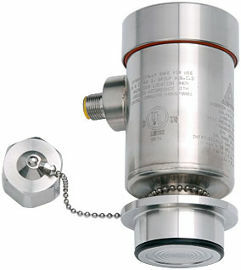 The pressure gauges all have stainless steel housings and are available in diameters of 63 mm and 90 mm. 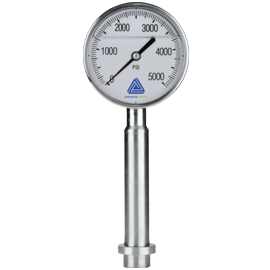 All materials that come into contact with the medium are FDA-approved. 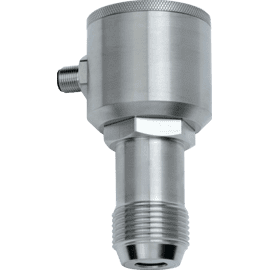 For pharmaceutical applications, we also offer devices with a 3.1 certificate, a better surface roughness and the possibility to adjust zero and span, which can also be autoclaved. 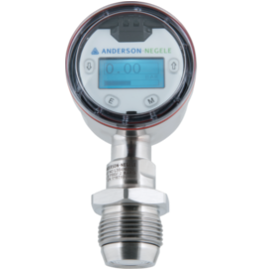 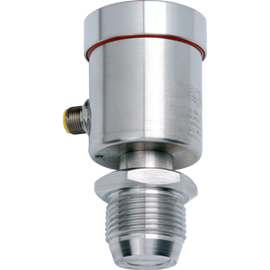 Anderson-Negele electrical pressure transducers with or without display have a stainless steel diaphragm that is highly resistant to overload and are suitable for the precise measurement of fluids even in extremely wet environments. 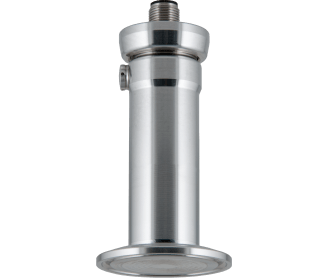 All materials that come into contact with the medium are FDA-approved and for pharmaceutical applications autoclaved versions with a better surface roughness are offered. 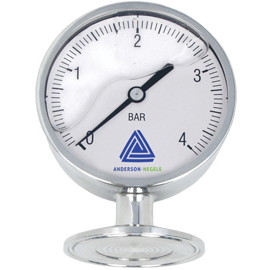 Mechanical 90 mm gauge for pipes and vessels.